Enter a station and a other optional information then submit your request. When moving from field to field, use the cursor or the TAB key. Hitting Enter too soon will cause the program to malfunction and no data will be retrieved. The Station Code is a character string name of the station for which data is to be retrieved. A Parameter Code is a character string name of the specific data to be retrieved. For example AF is the parameter code for Reservoir Storage Content (acre-feet). 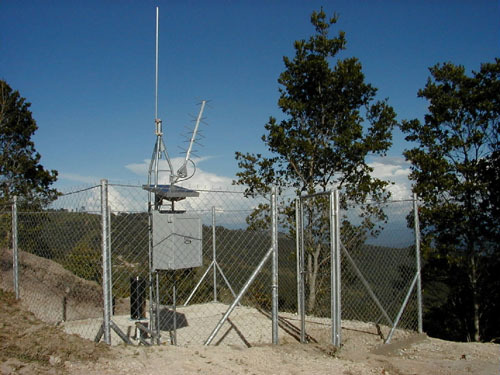 An example of an automated hydrologic and meteorologic monitoring (Hydromet) station that are located throughout the Great Plains Region.